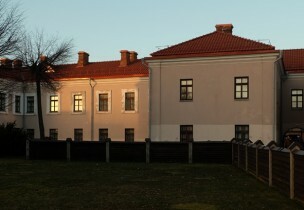 In the beginning of the 18th century, after the decrease in the evangelical reformist community, Carmelite monks began establishing themselves in Kėdainiai. 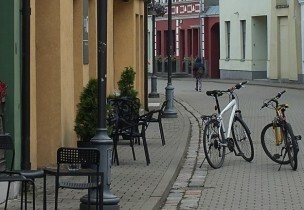 There are 29 historical streets in Kėdainiai. Some of them are straight, while others are curved and twisted. Straight streets were planned in the beginning of the 17th century. The magistrate took care that brick houses are built and streets are laid in the town. 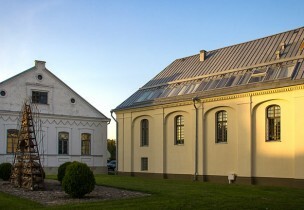 Since the first half of the 17th century, Kėdainiai was inhabited by a German Lutheran community. The single-nave Lutheran Church is unique due to the original 17th century wall paintings preserved inside it. The frescoes depict the Apostles Peter and Paul, as well as the evangelists John, Luke, Matthew and Mark. 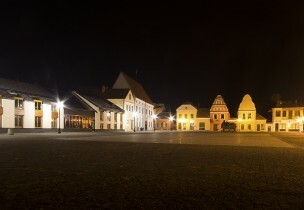 The square was formed in the 16th century, on the steep terrace of the right bank of Nevėžis River, and was the main marketplace of Kėdainiai. There are 17th century buildings near the square: houses of glaziers, the house of Burgomaster George Anderson and the Evangelical Reformed Church. 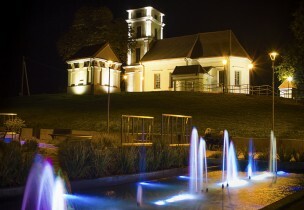 In 1625, the owner of the town, reformer Kristupas Radvila established a school in the current Town Hall building. In 1647, it became a gymnasium called Šviesioji (Gymnasium Illustre), and was established in the ornate Renaissance-style two-storey building in Didžiosios Pilies street. This square was planned in the 17th century. The first market square was formed in Kėdainiai in the 15th century and was called the Old Market Square due to it being the oldest market. Legend says that the brick church was built by the crusaders in place of a pagan temple, after chopping down a large forest.